Happy Place For Happy Kids! Kidz Kingdom + Bowling have an amazing indoor playcentre and a fabulous 6 lane bowling centre. Play centre is fantastic for ages check out are large red slide ball pools also are spiral slide everything you need to keep the kids fit & healthy. Bowling our 6 lane 10pin bowling takes fun to a whole new level. Summer Months 1st June to 31st Aug Open daily 10.30 a.m. to 5 p.m. Sun 12.00 noon to 5 p.m. Sun:12.00 a.m. to 5.00 p.m. Other Times: Open by pre arrangement - just give us a call. Join us at the Wild Atlantic Crusades HQ, jump into one of our bespoke 4x4 Landrover Jeeps and let our track test your driving skills and the sanity of your co - driver whilst dodging obstacles, completing riddles, balancing your jeep on a seesaw & yes, dare we say it, the driver is blindfolded, Did we mention that you will be timed & you will compete against all other Crisaders before you? Oh yeah!!! Battlebridge Paintball truly is a unique Paintball experience. We provide a gaming experience that no other facility can match. Our army & outdoor adventure experience enables us to create & maintain Game Zones with a military authenticity that is second to none. New to our Game Zone is a purpose built ‘Working French Village’ complete with cemetery, mine and Train Station. Quad bike adventure trekking in Carrick on Shannon. The best clean dirty fun you can have in Carrick on Shannon. Drive quad bikes across varying terrains. Moon River is based in Carrick and is known nationally. This craft has been built to the highest safety standards and in complete compliance with Department of Marine regulations. And has a full bar facility, serving light refreshments with entertaining couriers on board. So if you are part of a social group, hen party, stag party active age, team building company or a coach operator, looking for something different then why not give them a call and they will do the rest. 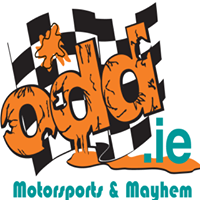 One of Irelands premier action venues – Hovercraft Grand Prix, paintball, clay pigeon shooting, laser combat and more! Zipit Lough Key is located in the stunning Lough Key Forest Park, one of the top ten best parks in Ireland. With an indoor activity centre, lakeside cafe and boat, bike and segway hire, you can enjoy a full days activity in the park. You can also stay overnight at the park campsite. Hot drinks and food can be purchased at the Lakeside Cafe. Fenagh Visitor Centre offers the Monks Den indoor childrens playarea ideal for kids 0-8 years. It is based on a monastery theme over three levels - ideal for hourly playtime, birthday parties (different packages avaiable), christenings/communions, family gatherings, days out. Great rainy day activity. Coffee shop/free wifi/local history and tourist info available - open all year round. Bear Essentials Ireland is a craft and tourism business. Here you find Irish limited edition teddy bears and baby essentials beside famous brands like Steiff, Charlie Bears and Bukowski Bears.The teddy bear hospital looks after restorations. The Silver Bear Centre provides workshops and events for all age and special needs groups. Please note that all activity workshops and presentations have to be booked in advance. 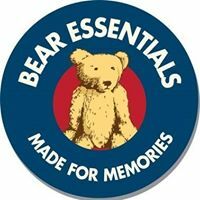 Bear Essentials is original, creative and memorable beyond the bare necessities.Wheelchair access, car park, gardens, play ground and coffee/tea if pre-booked. 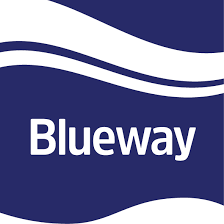 The Shannon Blueway is a corridor of recreational water and land based activities surrounding the waterway. This first section of the Shannon Blueway is from Drumshanbo to Carrick on Shannon and includes 16.5km of water trail and over 10km walking routes in three loops. The trail has accessibility for canoes, kayaks and all types of paddle boards. The wider Shannon Blueway, of which the Drumshanbo to Carrick on Shannon section is part, offers the access to over 100km of paddling area. Discover and experience the life of a Coal Miner through a unique tour and gain an understanding of the concepts and operation of renewable energy sources. The Marble Arch Caves Global Geopark is located in counties Fermanagh and Cavan in north-west Ireland. The Geopark offers superb rocks and landscapes but also offers amazing archaeological, historical and wildlife sites. The Boda Borg, a Swedish concept unique to Ireland, is challenging for all ages. Once you enter the two-storey building only teamwork ingenuity and skill will get your through its 47 rooms. 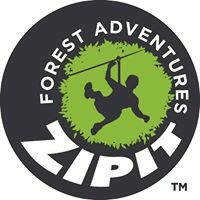 Zipit is the first high wire forest adventure in Ireland and is an unique mix of zip lines rope bridges Tarzan swings and climbing walls. 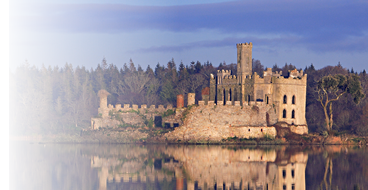 Lough Key also has boat rides, walking tours and an Adventure Play Kingdom for children. Ireland’s largest residential outdoor activity and adventure centre boasts water activities including banana boating, raft building, windsurfing, canoeing and kayaking. With such a large range of water, land and arts activities the Centre accommodates people from all backgrounds and of all abilities in large and small numbers. 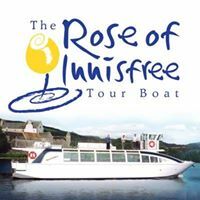 No visit to the Northwest is complete without a trip on board the Rose of Innisfree tour boat. Carrying up to 70 people this pleasure cruiser operates on Lough Gill where WB Yeats got his inpiration for his poem " The Lake Isle of Innisfree". River Mania provides a fun, exciting and safe way to experience some of Ireland's most picturesque rivers and lakes, while teaching awareness about safety in watersports. Looking for afternoons fun with the family or a group of friends? Why not try your balancing skills on one of our banana boat or jumbo dog sessions. Electric Bike Trails offer day hire and 2 to 7 day tours from Leitrim Village, Carrick - on - Shannon and Lough Key Forest Park, with 16 to 65 km trails to choose from on quiet country roads. Families and groups catered for with full range of regular bikes and electric bikes. Guide maps and back up transport. Adventure Gently offers guided Canadian canoe trips at a wide choice of locations. A chance to see wildlife such as a kingfisher darting across still water or if you are really quiet to see him fishing! Learn some basic canoe strokes, relax and enjoy the tranquility of travelling by water. Situated on the shore of Lough Allen the award winning Lough Allen Adventure Centre is ideally located for an exciting adventure programme with fun and adrenaline filled water sports such as windsurfing and kayaking with sites suitable for beginner, intermediate and advanced. This small tourism business that caters for visitors who would like to experience the North West in a unique way. And offer 'off the beaten track' nature, foraging, local guides. Tailor made walks for groups and individuals are our speciality. Big Day Out in Leitrim also available. Western trained Horses, including American Quarter Horses and American Paint Horses are the foundation for Drumcoura Equestrian Activities. There is a large indoor arena and two outdoor arenas as well as forest trails. Instructors will make your riding lessons or trekking enjoyable no matter what your level of skill or experience. Moorlands Equestrian Centre is a family run riding school based on the shores of Lough Allen, in the heart of Co. Leitrim. Established in 1993 by the Mc Manus family, Moorlands offers a wide range of activities for all ages and abilities. Its scenic, off-road setting, between Sliabh an Iarainn and the Arigna mountains, provides a perfect base for lessons, treks, cross-country ride-outs, hunting and pony camps. Open all year round.